MICHAEL MEDVED is out and controversial former TRUMP campaign figure Dr. SEBASTIAN GORKA is in at SALEM RADIO NETWORK, with “AMERICA FIRST WITH SEBASTIAN GORKA” debuting JANUARY 1st for weekdays 3-6p (ET). MEDVED will continue his show but not on SRN; He had previously been rumored to be on the outs with the network due to his status as the host most critical of President TRUMP on the schedule. If you want to see and hear someone destroy Dishonest CNN Hosts take a few minutes and You Tube Gorka do just that. Start with Gorka going after Anderson Cooper and on from there. Medved was an independent’ mind, who called balls and strikes! not a clapping seal for everything Trump! Medved was a reasoned mind, amongst the not so reasoned minds, who carry Trumps water no matter how muddy it gets! Medved brought a fresh breeze to a stagnant pool! Now we have GORKA? another trump-can-do-no-wrong voice! ill find another venue, thank you! 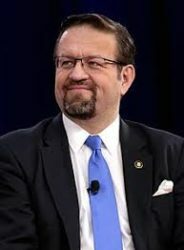 I have enjoyed Gorka’s interviews on Metaxas and look forward to hearing his show. I found Medved’s style, delivery, and substance to have become rather wearing in the last few years and have tuned in sporadically. I do enjoy his history specials, and he certainly is an ardent promoter of our special nation. Thank God Medved is losing his radio show on Salem. Let’s hope his show in Seattle on ktth is next! Medved is a lukewarm milk toast conservative at best. This idiot declared early for McCain when the field was wide open which shows exactly where Medved sympathies lie. That and his high-pitched nasally whine girlish voice was a voice for print not radio. And he has been avidly anti Trump, when Trump is probably the most conservative president since Reagan and has actually accomplished many conservative things unlike the bushes. Haha Medved glad to see you go you non-conservative rino!!!! Ktth is next!!!!! Mr. Medved is a very nice man. I wish him the best. But Mr. Medved’s “Never-Trump” views almost got us Hillary as president. Welcome, Welcome to Dr. Gorka!!! 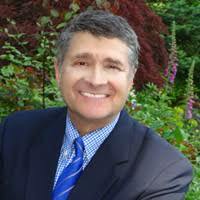 Michael Medved is such an optimist. An idealist. He wanted to use his prodigious skills to champion Trump and, once elected, looked for every opportunity to build up Mr. Trump as a co-inheritor with the line of luminaries, back to General Washington, who lit the pages of his inspired, “The American Miracle.” (Divine Providence in the Rise of the Republic.) I can find no fault with this great patriot; though, I am 190 proof Trump. Godspeed Mr. Medved. but many of us would never listen to Medved and now we will listen to Gorka so your absence probably will not be missed. Medved was so irritating and always just not quite on the conservative team. There is no way I will listen to Gorka. Medved is the best so you just lost a daily listener. What on earth were you thinking?? ?